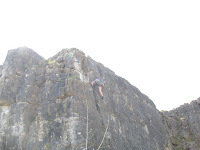 Despite a small turnout, the weather in Braithwaite provided the opportunity for some great climbing and walking. 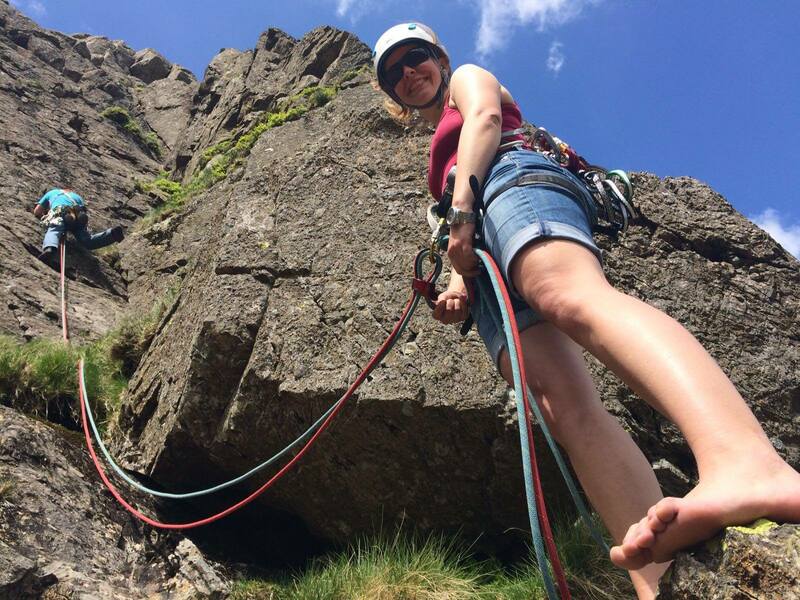 On the Saturday, Alice and Jonah traveled to Buckstone How and scaled Honister Wall, followed by Woden's face. 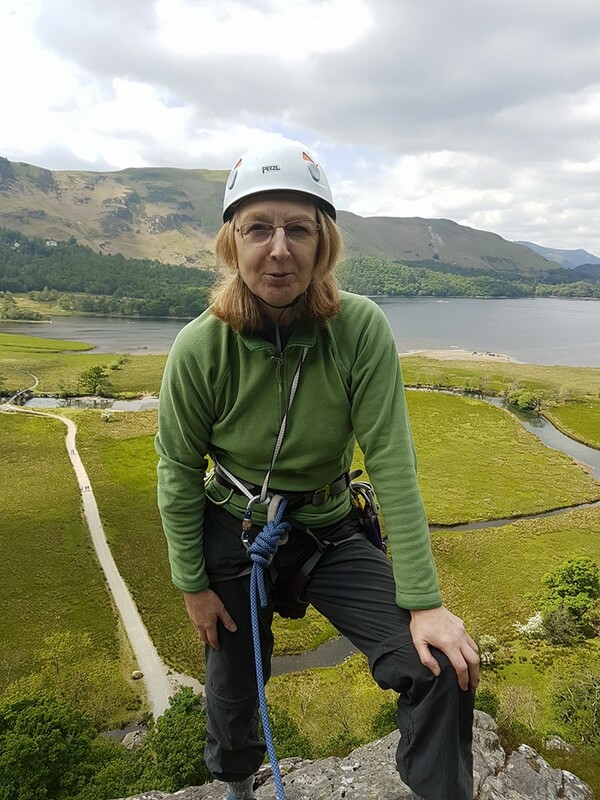 On the Monday, Alice was joined by Simon and Yvonne and a short drive to Shepherds crag, starting off the day on Brownstone slabs. 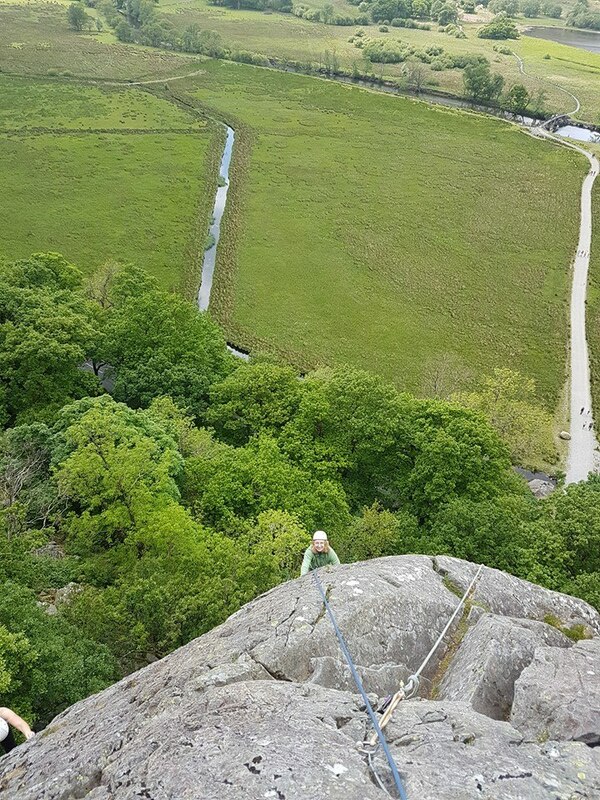 Simon and Yvonne paired up to tackle Brown Slabs and then onto what should have been Brown Slabs Direct, but Simon leading may have veered onto Brownstones arete, leading to a bit of a zigzag climb - made for an interesting variation. Alice and newcomer Matt tackled Brown Slabs, Brown Slabs Face and then Alice took on the test piece of Brown Slabs Crack. 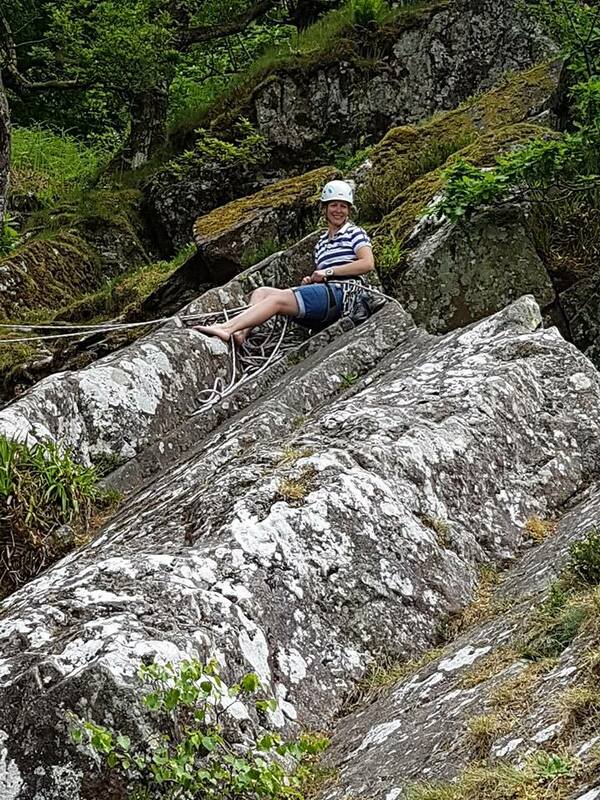 The climb went well for Alice with only a small bit of trepidation at the crux of the route. 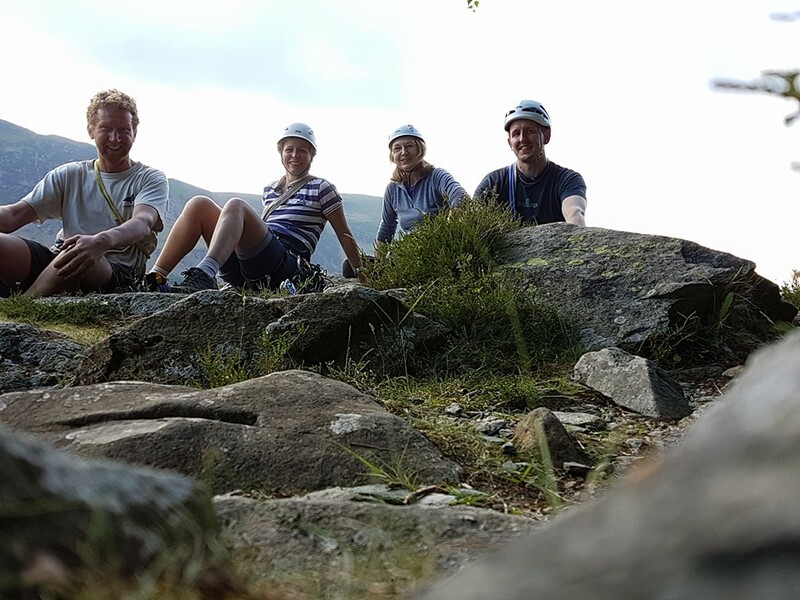 Towards the end of the day, the group decided to finish on Jack Daws ridge. 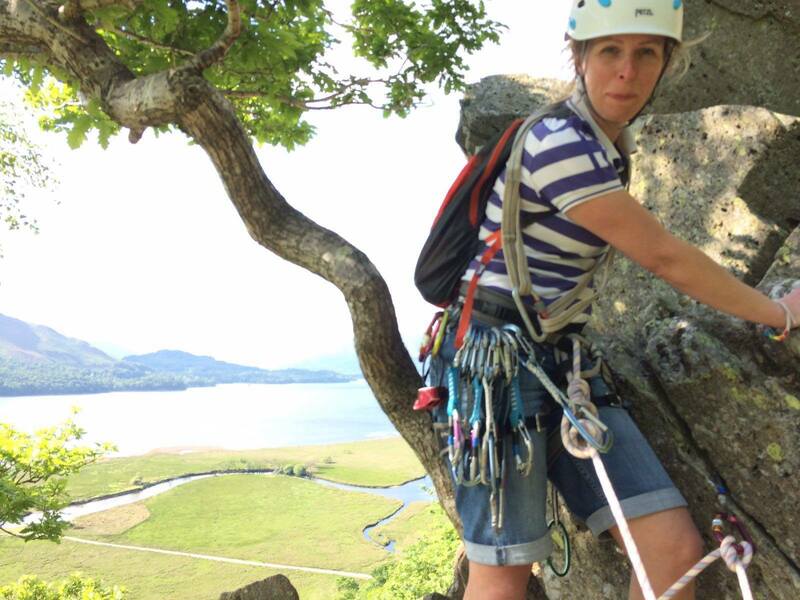 The multi-pitch route should only be defined as a climb for the first pitch, with the remainder being more scrambles. 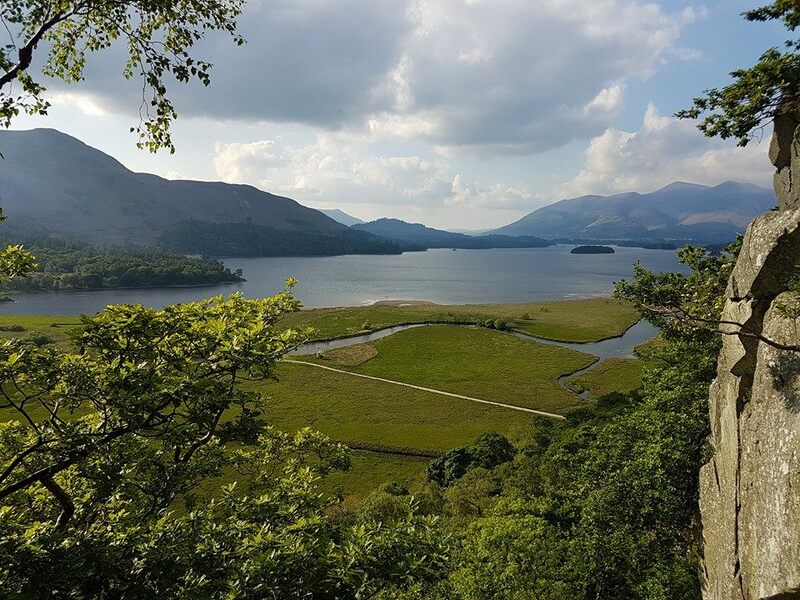 However the group weren't disappointed as the views in the late afternoon were the sort that Borrowdale is famous for and still a reason why so many climbers flock to the location. 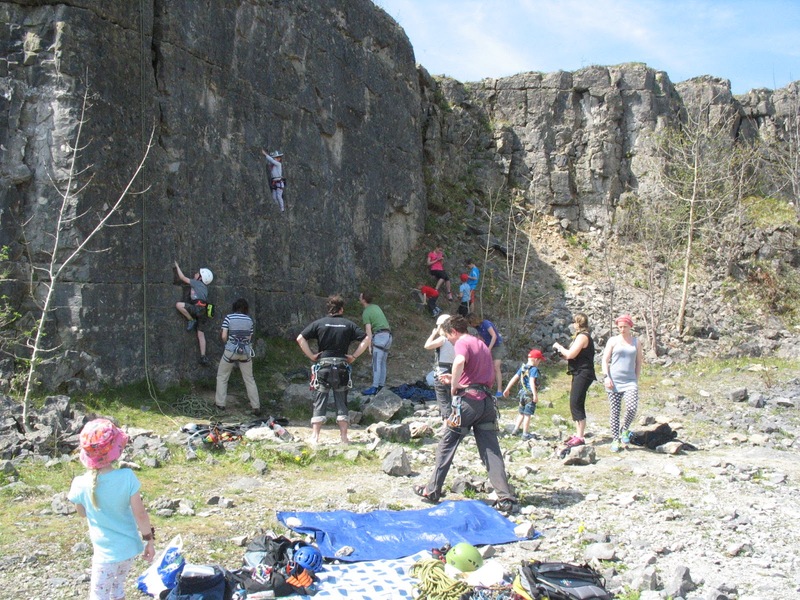 A great day allowed the indulgence of many on the Limestone rocks of Horseshoe Quarry. 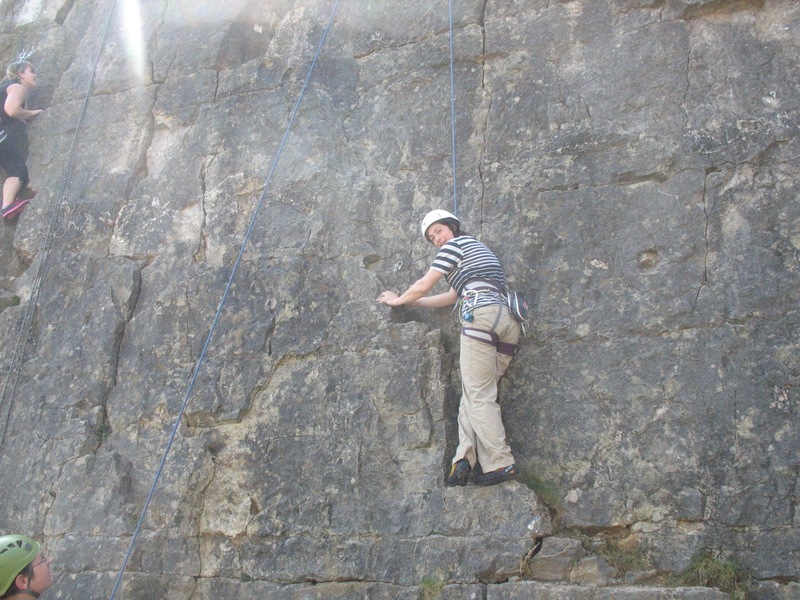 A sport climb area in the peak district. The location made for a simple to set-up top rope arena for all the 'New Kids on the Rock'. 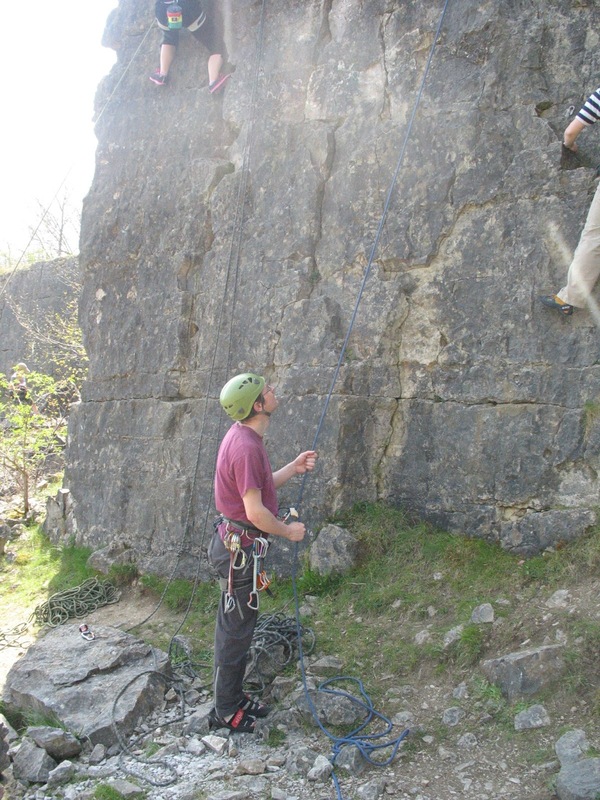 We setup as usual at the Upper Tier of the quarry, which provides some of the easier routes in the quarry and given the amount of members, friends and children who attend, this serves a great plateau area for the children to roam and explore in relative safety without impeding on any other climbing in the area. With Hannah Carrington, Alice Mason, Simon Chriscoli & Chris Manasseh representing the St Helens Club, it was a good opportunity to practice leads. Initial routes climbed and prepared were: Uranus (3+), Klingon (4) and Saturns Rings (4+). 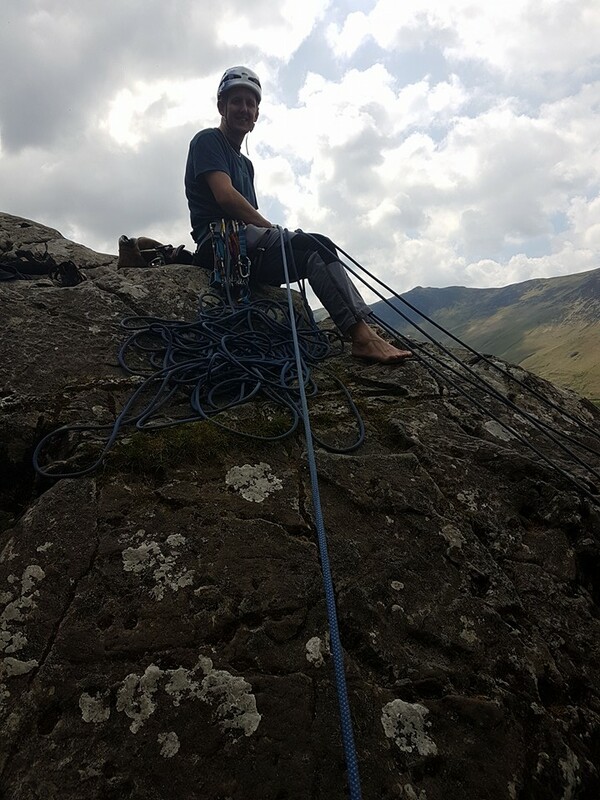 Once ropes were up the opportunity was given for friends and subsequent smaller people the chance to get climbing outdoors. The weather was warm and sunny and couldn't have been a better day. An impromptu barbecue provided some needed refreshment and a nice break in the pre-Summer sunshine. Chris led Torchwood (6a+), which had the crux moves within the first 2-3 moves. 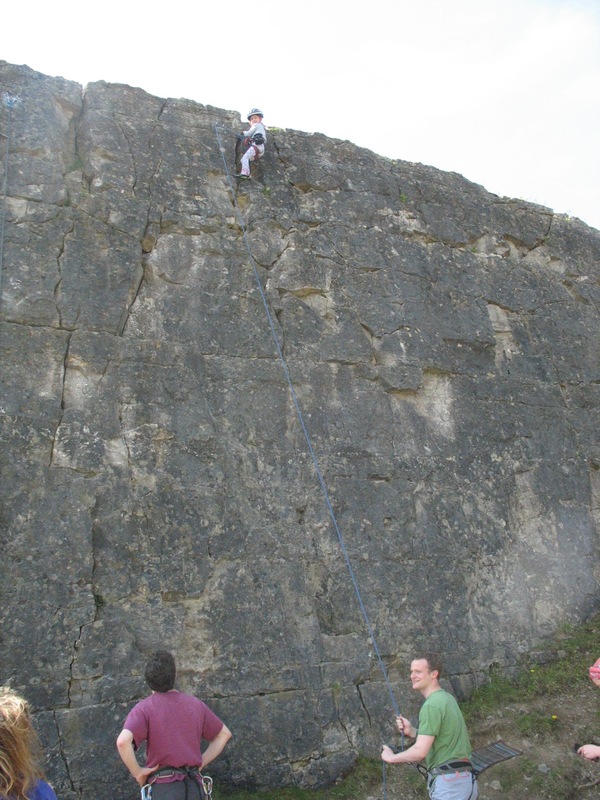 Chris also led the fun traverse of Beam Me Up Scotty (5), which Simon seconded and Hannah came across as a 3rd. Thanks to all that made it a great family day out. I can see this being a more permanent fixture in the St Helens calendar. Great weather and great turnout.